A compact component system for small spaces. 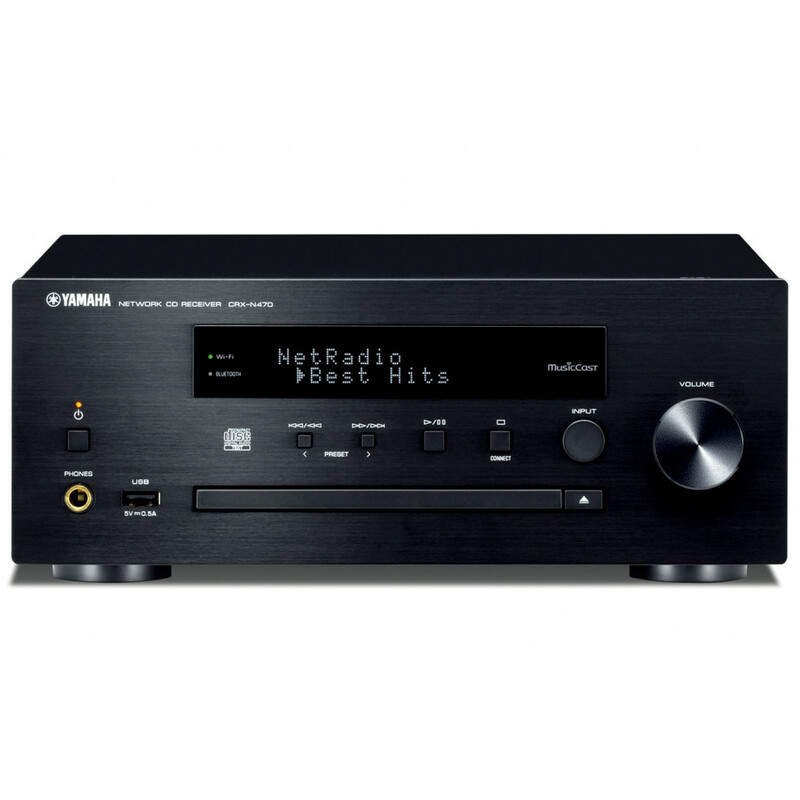 Yamaha CRX-N470 mini receiver with FM and CD, plus Bluetooth streaming. Wharfedale Diamond D210 compact speakers in black finish.